Yes! It also needs makeup to look natural! Do you agree with Calvin Klein? Because I do. 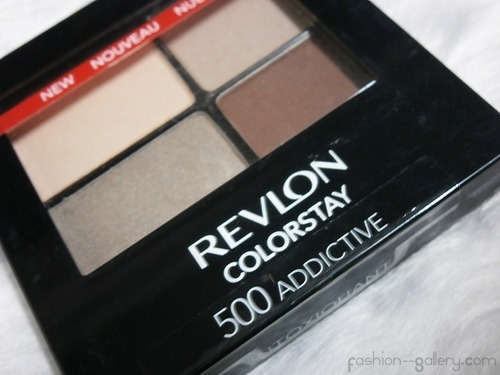 And because of that I wanna share my review about my Revlon Colorstay 16 Hour Eye Shadow. 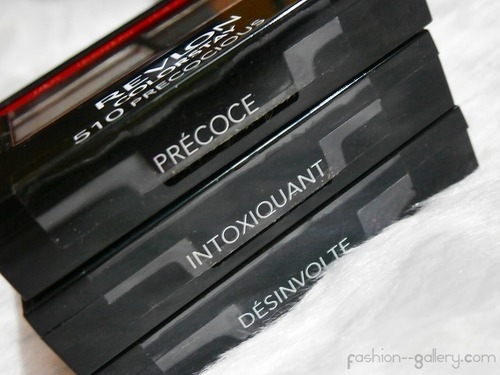 Silky smooth, blendable powder shadow that won’t crease fade or smudge.Wears up to 16 hours. Color coordinated quads provide expert mix and match ability for your most gorgeous eyes ever. Available in 16 beautiful quads. Ophthalmologist tested. Non-irritating. Addictive, Luscious, Precocious, Adventurous, Brazen, Siren, Seductive, Goddess, Inspired, Attitude, Enchanted, Moonlit, Serene, Bombshell, Decadent and Delightful. 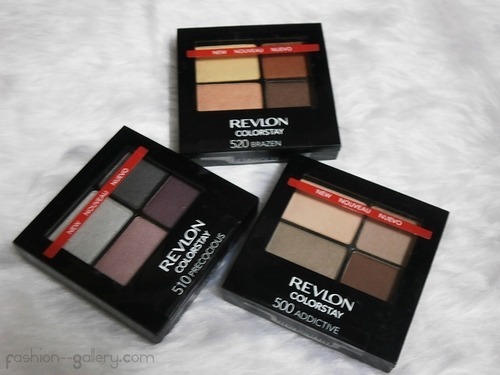 Such a lot of shade to choose from and those bolded one are what I have on my kikay kit. So let's talk about the packaging, as you can see it is securely sealed and the sticker has the name and which color it is. The compact is not too big, just right and it's slim enough which allows you to be with you all the time. Ready to go always. 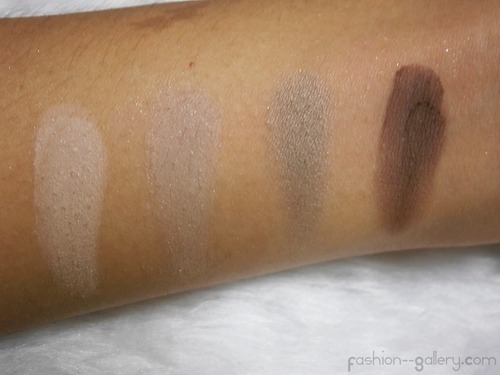 All the quads are actually color coordinated and it offers great color and as it says 16 hours of wearing time plus it won't crease fade or smudge. At every back of the quads they features a diagram which suggest on how you can wear all the colors via number system. And let's talk about each palette I have. This would be my usual daily palette, it consists of mostly neutral brown colors. 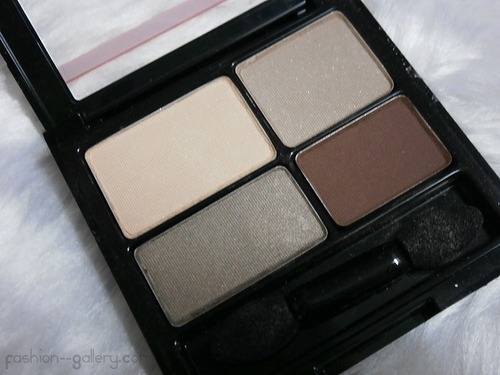 The colors of this quad is just right to those who want to stick with neutral shades with minimal sheen. The colors swatch beautifully and they have high pigmentation and it can actually last up to 16 hours especially if you used primer first. 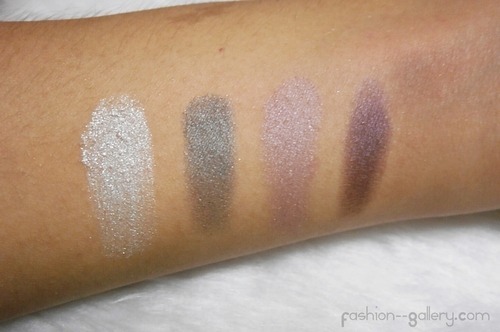 This palette can be used during my night out gimiks, it consists of smooky gray and purple shade. This quad actually gives a dramatic look or can also be a quite casual look. The colors swatch beautifully. I love the light violet color. 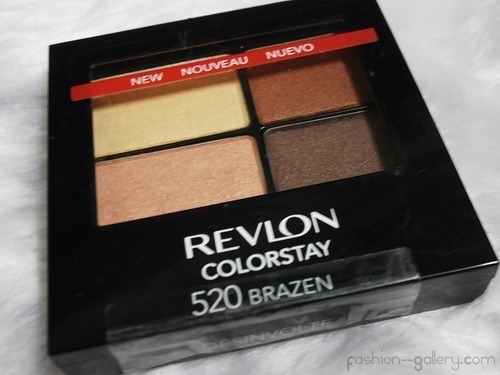 This palette can be used during day time, it consists of bronze colors and yellow shade. This quad actually gives a dramatic look or can also be a quite casual look. 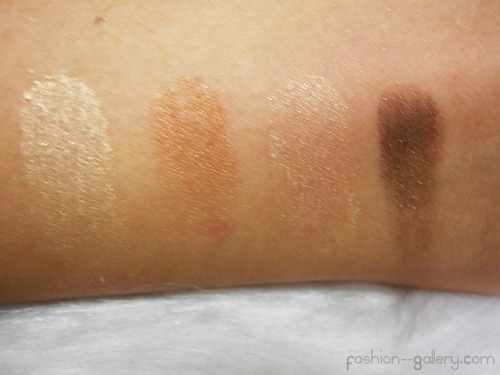 The brown shade gives a golden sheen which makes me love this palette. The colors swatch beautifully. 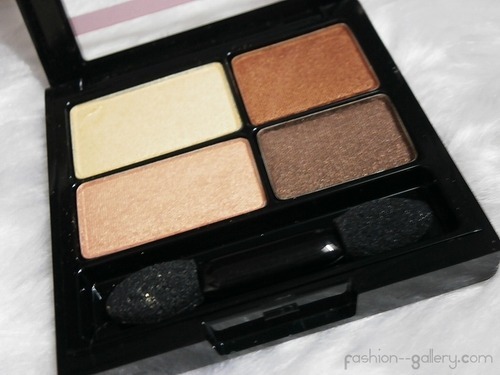 This palette is a good choice too for a daily makeup routine. 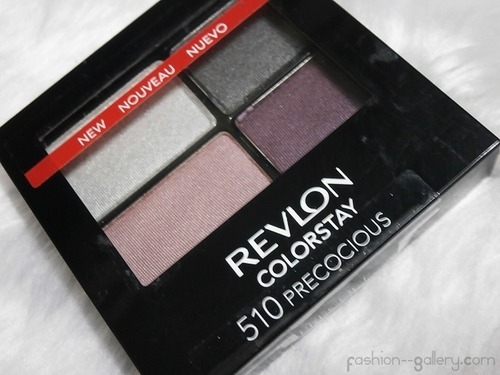 All in all, I recommend this Revlon Colorstay 16 Hour Eye Shadow to you my lovely readers! 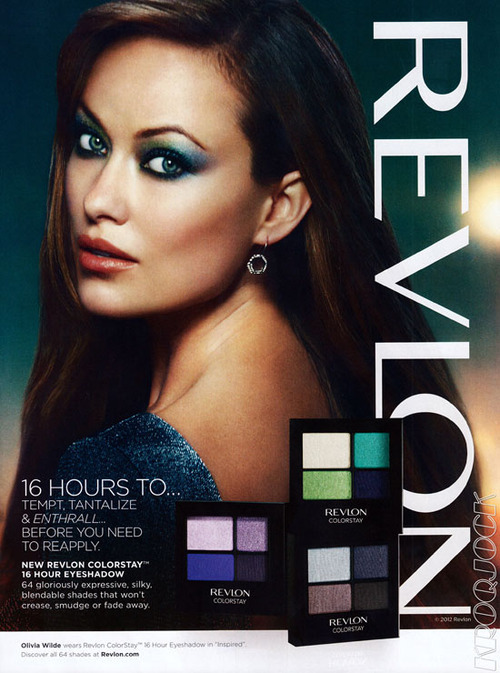 I love revlon eye makeup. The colors are gorgeous.